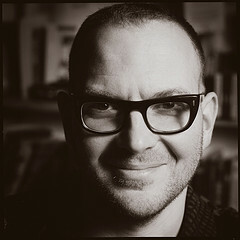 Copyfighter, journalist, sci-fi writer and Boing-Boing editor Cory Doctorow has fallen victim to the almighty content empire of Rupert Murdoch. In an attempt to remove access to infringing copies of the TV-show Homeland, Fox has ordered Google to take down links to Doctorow’s latest novel of the same title. Adding to the controversy, Doctorow’s own publisher has also sent DMCA notices for the Creative Commons licensed book. TorrentFreak confronted Cory Doctorow with these dystopian findings and the author was outraged by the gross abuse of his rights. Without hesitation he called for drastic action to be taken against the head honcho of the content empire. “I think you can safely say I’m incandescent with rage. BRING ME THE SEVERED HEAD OF RUPERT MURDOCH!” Doctorow says. Read the full article @ TorrentFreak. Previous Previous post: On the next NCompass Live: Tech Talk with Michael Sauers: Web Tools to Make You Look Cool! Next Next post: Boston lockdown: the new normal?